Anicius Manlius Severinus Boëthius, commonly called Boethius (ca. 480–524 or 525 AD) was a philosopher of the early 6th century. He was born in Rome to an ancient and prominent family which included emperors Petronius Maximus and Olybrius and many consuls. His father, Flavius Manlius Boethius, was consul in 487 after Odoacer deposed the last Western Roman Emperor. Boethius, of the noble Anicia family, entered public life at a young age and was already a senator by the age of 25. Anicius Manlius Severinus Boethius was born in or near Rome around the year 480 A.D. Orphaned young, he was brought up in the household of one of the richest and most venerable aristocrats of the time, Symmachus. He married Symmachus's daughter and pursued a typical career for a senatorial scion of the time, alternating between ceremonial public office and private leisure. In two ways, however, Boethius was unique. He was far and away the best educated Roman of his age: indeed, there had been no one like him for a century, and there would never be another (the senate, long since ceremoniously inane, disappeared forever by the end of the sixth century). He had a command of the Greek language adequate to make him a student, translator, and commentator of the Platonic philosophies of his age (to which we give the name Neoplatonism, to distinguish their opinions from the original doctrines of Plato himself). Boethius may in fact have studied in the Greek east, perhaps at Athens, perhaps at Alexandria, but we cannot be sure. At any rate, he undertook an ambitious project of translating and interpreting all the works of both Plato and Aristotle and then -- he opined -- demonstrating the essential agreement of the two. Only a few pieces of this large undertaking were completed before Boethius's life was cut short. 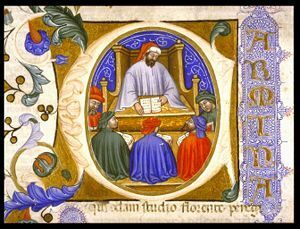 For the other unique facet of Boethius's character was that he took public affairs so seriously that he lost his life at the hands of an authoritarian monarch: such complete devotion to the public weal had long since faded from aristocratic fashion. Little is to be made of his term as consul in 510, or of his doting presence at the consular celebrations of 522 when his two sons held the office simultaneously. But in the early 520's, he served as magister officiorum in the half-Roman regime of the Ostrogothic king Theoderic. Theoderic had taken Italy at the behest of the emperors in Constantinople; but political and theological fashions had changed in the thirty years since Theoderic entered Italy. In the reign of the emperor Justin (519-527), the aging Theoderic fell out with Constantinople; somehow, in ways that remain hotly controversial, Boethius came to be suspected by his monarch of disloyal sympathies; the suspicion may indeed have been well-placed, but the sympathies may have been well-grounded. Sometime c. 525/26 Boethius was executed. His father-in-law Symmachus went to the block not long after. When Theoderic died in August 526, legend quickly but implausibly had it that he was haunted at the end by his crimes. The Consolation of Philosophy is apparently the fruit of Boethius's spell of imprisonment awaiting trial and execution. Its literary genre, with a regular alternation of prose and verse sections, is called Menippean Satire, after Roman models of which fragments and analogues survive. The dialogue between two characters (one of whom we may call Boethius, but only on condition that we distinguish Boethius the character from Boethius the author, who surely manipulated his self-representation for literary and philosophical effect) is carefully structured according to the best classical models. Its language is classical in intent, but some of the qualities that would characterize medieval Latin are already discernible. Boethius’ life and works form the bridge between classical philosophy and medieval theology. In this treatise, Boethius sets out to articulate the orthodox teaching of the Trinity philosophically, simultaneously defending it against possible heresies. 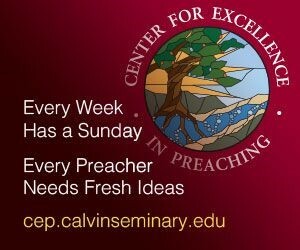 Arianism, one of the most well-known, widespread, and controversial heresies, receives particular attention. His views on the Trinity reflect his background in Platonic and Aristotelian thought, a background which subsequent Christian philosophers and theologians, such as Thomas Aquinas, would inherit. This particular treatise is often read as a supplement to Boethius’ still popular and influential work The Consolation of Philosophy.